PolySoft is a specifically designed product for wet area surfaces and children’s playgrounds, where comfort and safety are paramount. PolySoft’s colour range has been carefully selected to provide an unlimited choice of striking combinations for pool surrounds and water play areas. The unique combination of the soft texture of PolySoft and the natural colour range, gives designers, architects and all involved, the freedom to create areas that are aesthetically pleasing and safe underfoot. 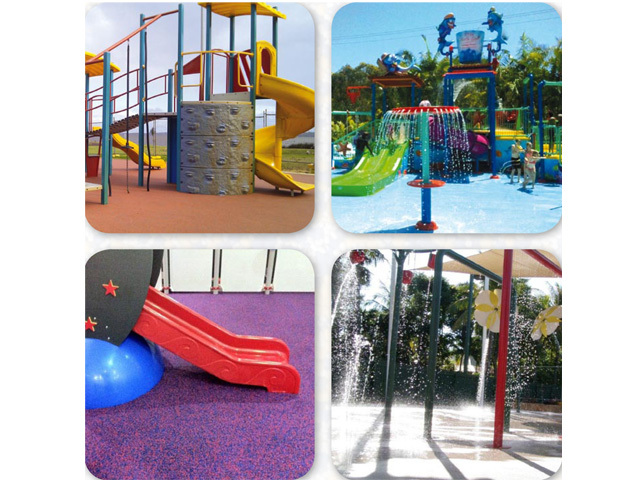 PolySoft is the ideal surface solution for children’s playgrounds. It is also suited to public pathways, rooftop areas, entertainment venues and any application that requires a soft seamless flexible surface. When combined with the appropriate cushion underlay, PolySoft is an exceptional impact attenuating safety surface meeting all fall height requirements. 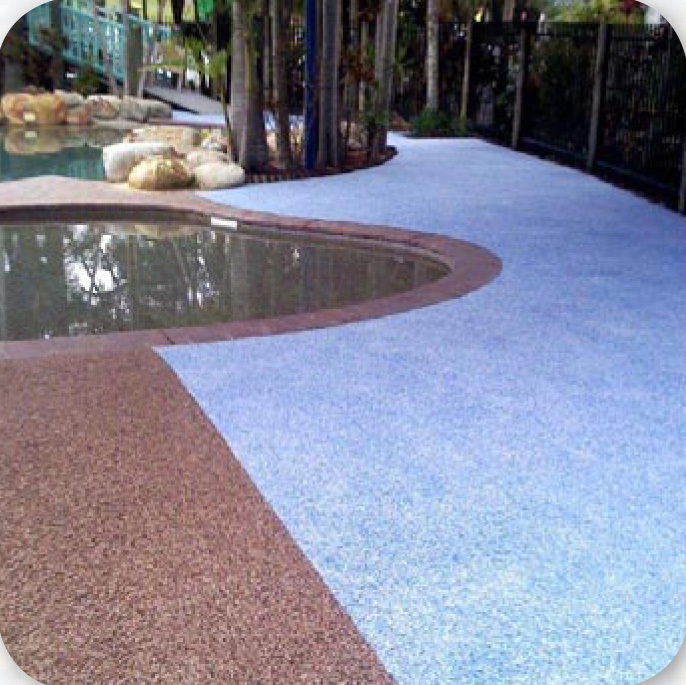 PolySoft addresses all the common issues usually associated with traditional surfacing. These include cracking, fading and surface temperature. PolySoft is perfectly suited for use around pools, in water theme parks, rehabilitation hydrotherapy pool entries, splash pads and any application where a chlorine resistant surface treatment is required. The heat reduction in surface temperature makes barefoot travel possible, even in extreme environments. PolySoft can be tailored to suitindividual project considerations, such as slip resistance and drainage. Polysoft in conjunction with White Water West have installed a new splash park at North Star Big 4 Holiday Park, Hastings Point NSW.